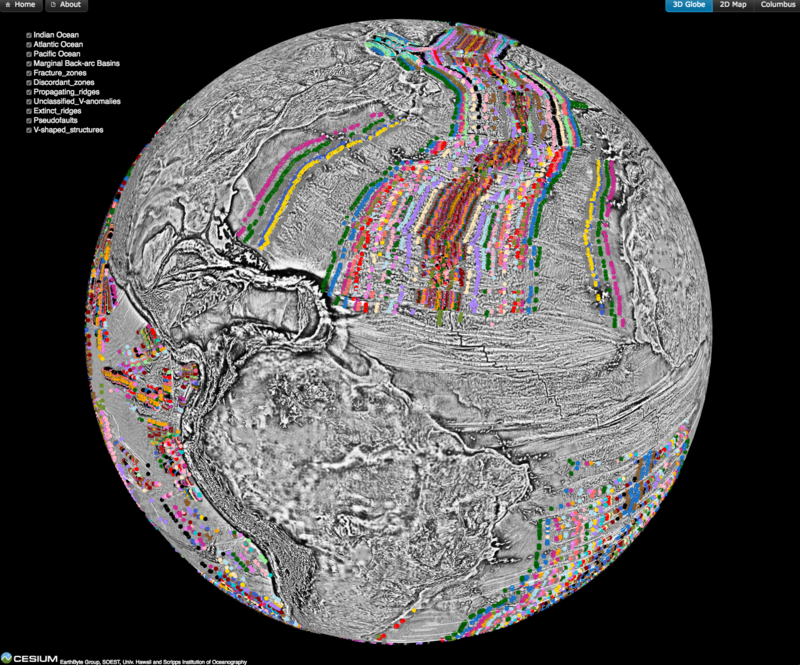 This collection of magnetic anomaly and fracture zone picks can now be explored interactively on a 3D globe on the GPlates Portal. Seton, M., Whittaker, J. M., Wessel, P., Müller, R. D., DeMets, C., Merkouriev, S., … & Williams, S. E. (2014). Community infrastructure and repository for marine magnetic identifications. Geochemistry, Geophysics, Geosystems, 15(4), 1629-1641. doi: 10.1002/2013GC005176.